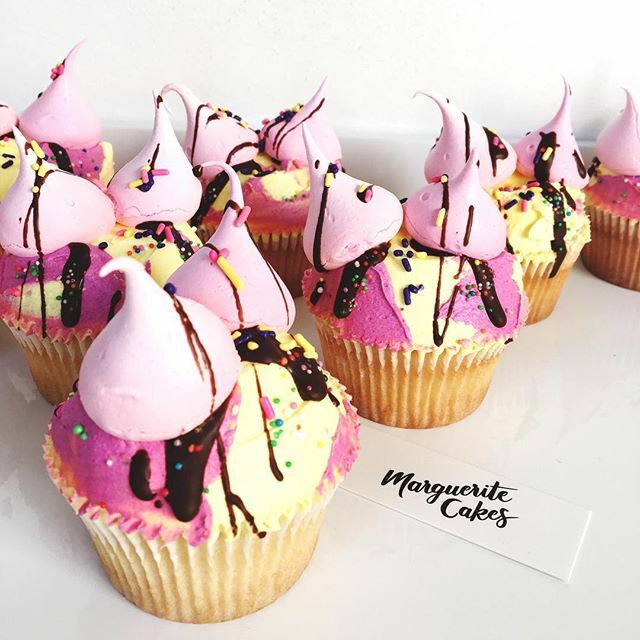 For all your glorious cake needs, there is only one destination: Marguerite Cakes. Scrolling through her impressive photo gallery is what dreams are made of. 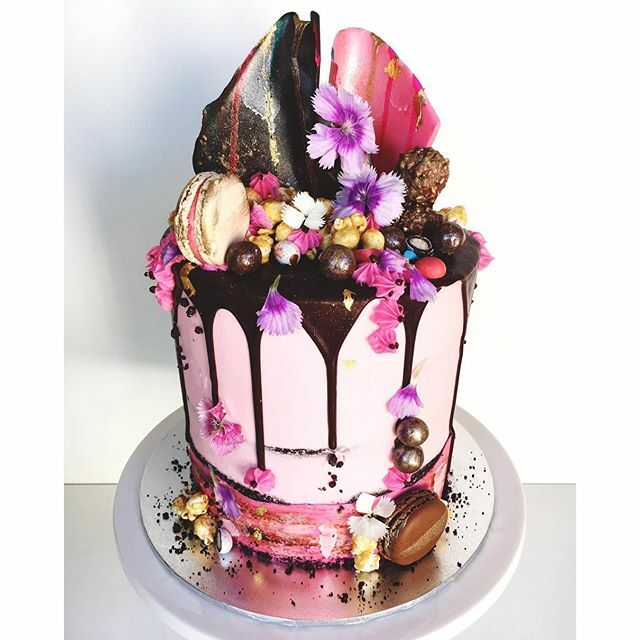 An array of pastels with bursts of colour, hints of metallics, perfect drips and topped with everything from chocolate sails to florals, macarons, meringue kisses and your favourite sweets. 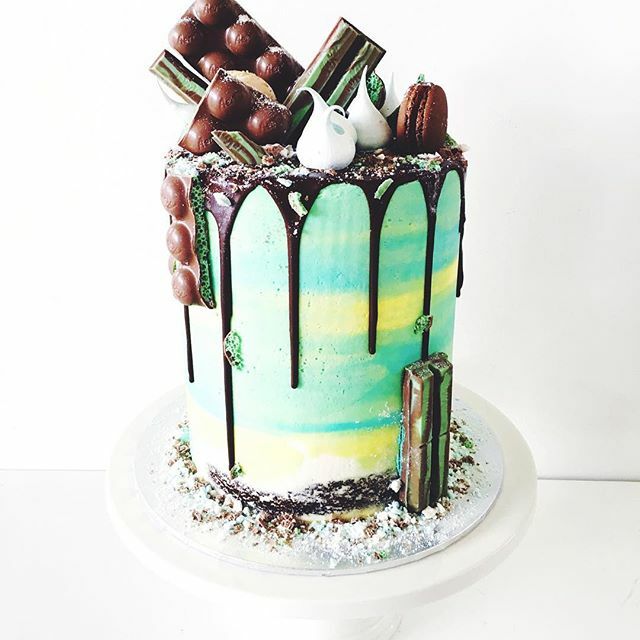 These cakes are a visual feast, and almost too pretty to eat- but missing out on what’s underneath would be the biggest shame. With no less than twelve flavours to choose from, you can opt for the classics such as vanilla, white chocolate mud or chocolate brownie. If you are after something a little different, you can choose coconut, almond, caramel mud or Matcha cake. 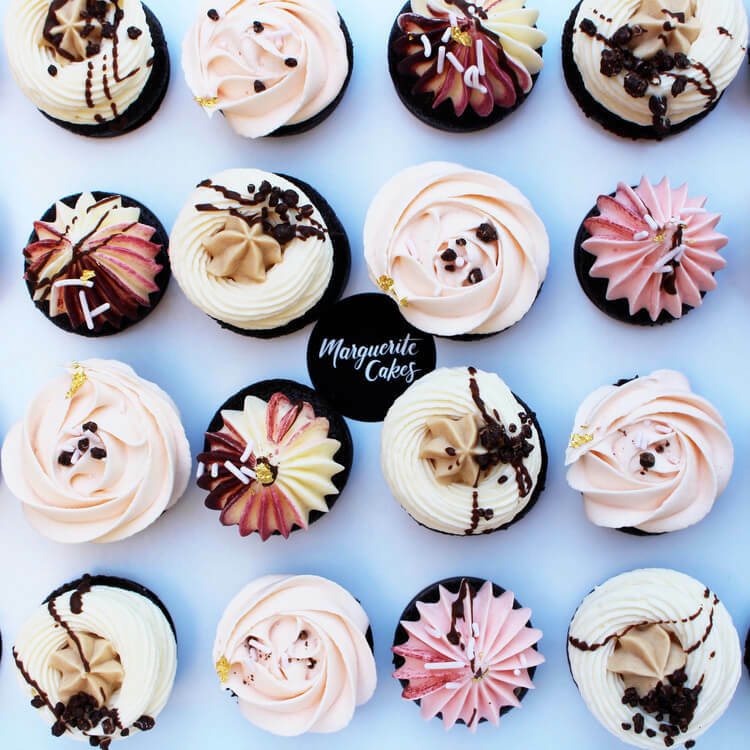 The fillings get even more exciting, with choices such as cookies and cream, peanut butter, Nutella, honeycomb, Toblerone, salted caramel, Snickers, lemon curd… the tantalising list goes on. 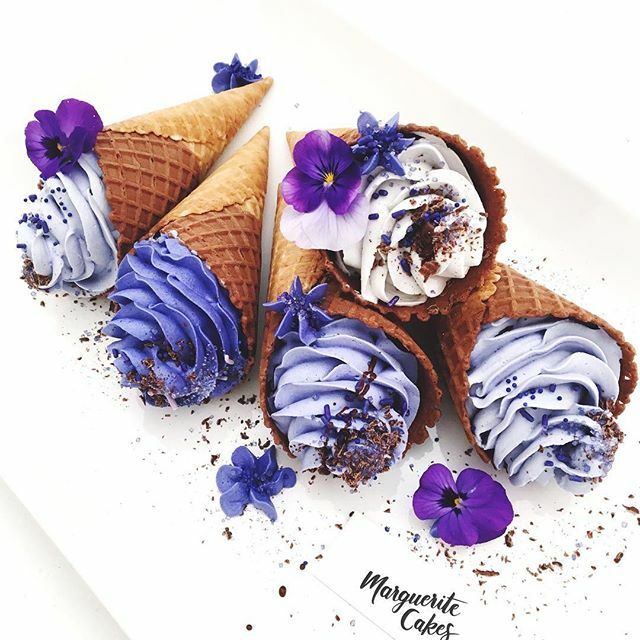 These creations are all designed and made by the talented Dany McEwen, a self-taught baker, whose love for baking and decorating cakes moved from a hobby as a young mother to her business Marguerite Cakes. Although her passion took a backseat as her children went through school, she recently used the time on her hands to get her business started. Her Mauritian background influenced her name choice, as ‘Marguerite’ is the French word for ‘daisy’, a delicate flower. The name aptly acknowledges the delicate touch Dany employs to create every unique cake for her customers. 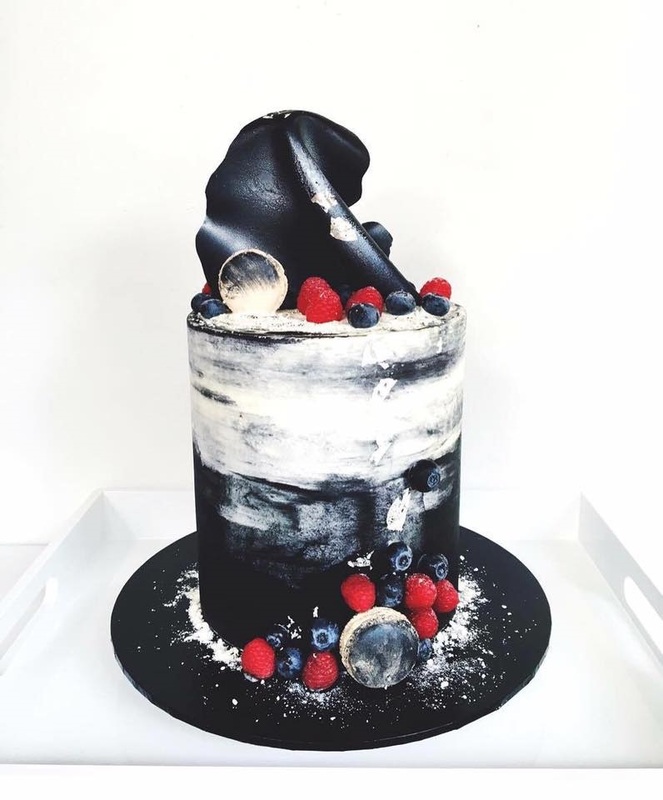 Developing her style mostly through experimentation, she values the originality in her work and stays true to her own style of decorating, as well applying popular trends such as drips and chocolate sails. 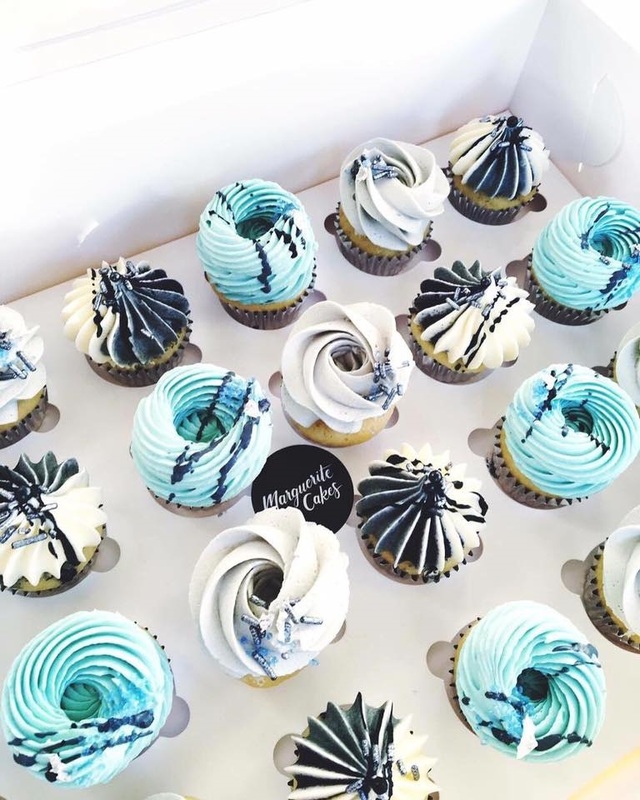 Although she often receives reference photos from customers of other bakers work, she will let the customer know the end product will not look the same for this very reason. Although she will use these as a reference, she will make the cake with her own signature style. 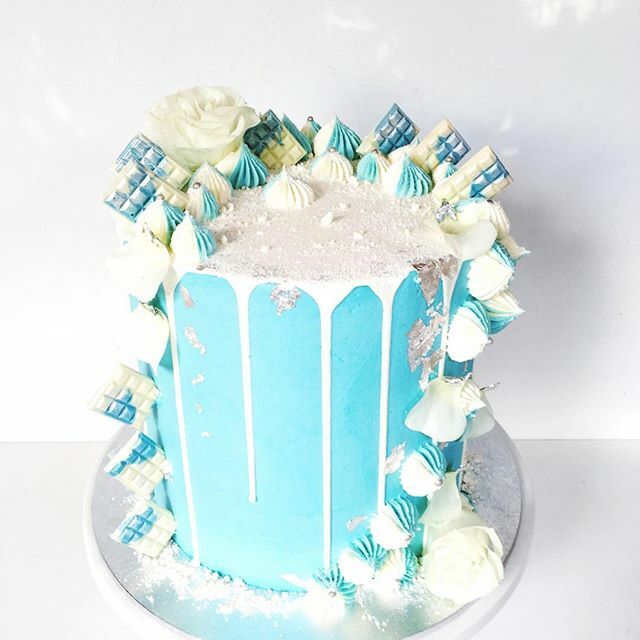 Her approach revolves around freshness, and uses buttercream rather than more traditional techniques such as fondant. Where she can, she enjoys incorporating fresh seasonal fruit and flowers in her designs. 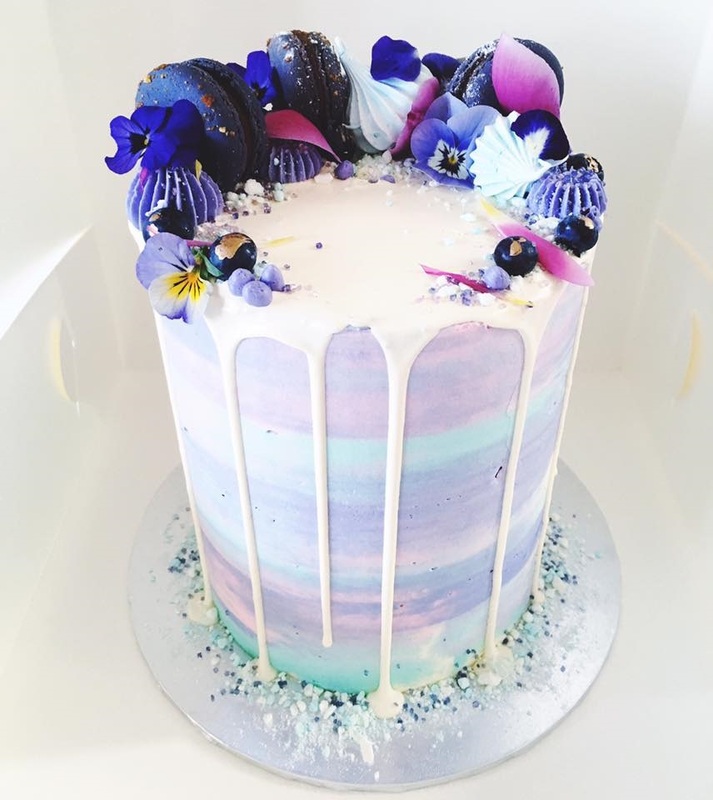 Dany knows that her distinctive beautiful aesthetics set her apart from other Perth bakers, but she also knows her cakes should taste just as good as they look. For all of her delicious flavour combinations, she uses only the highest quality ingredients, such as butter made from fresh cream, couverture chocolate and free range eggs. 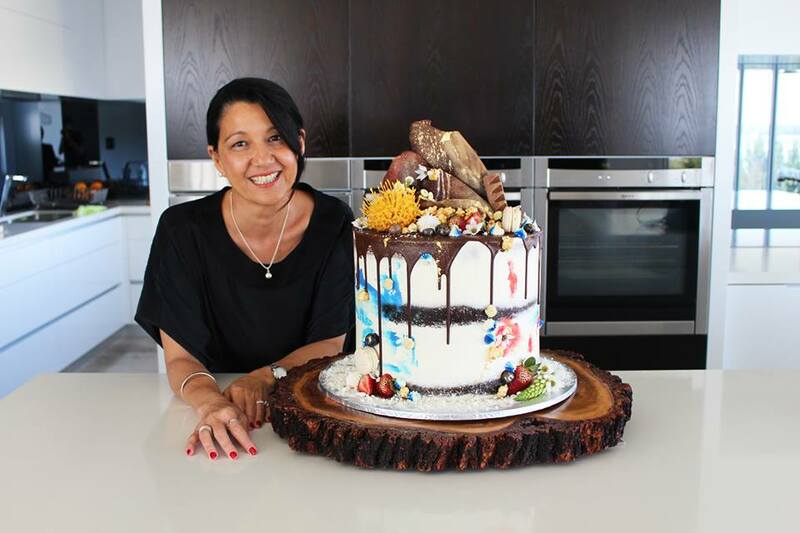 It should be no surprise that she was noticed and commissioned to make the biggest and most important cake of her career so far; the cake presented to Prince Charles on his birthday during his visit to Perth. 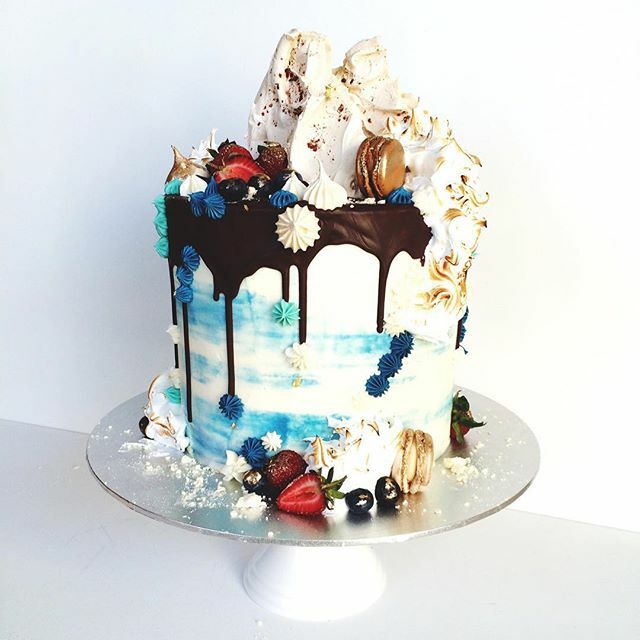 The finished product was a layered chocolate and red velvet cake, with a Toblerone filling and a design that reflected Western Australia with a red, blue and gold colour theme and native flowers. Dany says it was one of the most exciting and exhilarating projects she has worked on to date. Although the lead up was extremely stressful, everything fell into place, and Dany says she couldn’t be happier with the way it turned out. The hardest part was not being able to tell anyone about the project until the morning of the event! Dany makes cakes for all occasions and loves to experiment, so creative and unique events are especially exciting. As well as cakes, Dany can also make large and miniature cupcakes or cake filled ice cream cones. Although Dany conducts most of her business from home and operating online, she has some exciting projects planned for the upcoming year. This may include small private cake classes in a new space- so keep your eyes peeled! If you are interested in ordering from Marguerite Cakes, it is recommended you give one to two months’ notice ahead of time. Find out more on her website, Facebook or get inspired by her Instagram.